Clare Egan (11/19/1987) is a biathlete and cross-country skier originally from Cape Elizabeth, Maine. A member of the Craftsbury Green Racing Project since 2011 and the US Biathlon team since 2014, she now lives and trains at the Olympic Training Center in Lake Placid, New York. Clare started skiing in middle school for Cape Nordic and was a Maine high school state champion and two-time member of the New England Junior National team. As an undergraduate at Wellesley College, she ran cross-country and track and started the Wellesley Ski Team. After graduating in 2010, Clare spent a year at the University of New Hampshire, where she competed in Division I cross-country, track, and skiing while pursuing a master's degree in linguistics. She moved to Craftsbury, Vermont in June of 2011 to train full time for cross-country skiing as a member of the Green Racing Project, and competed in her first biathlon race in 2013. 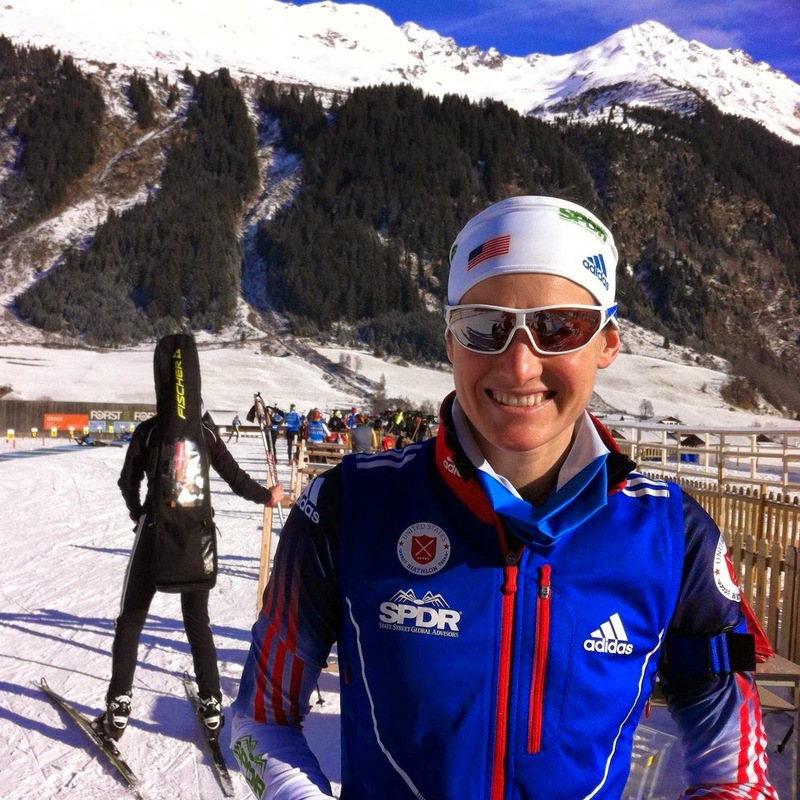 Following the 2014 season, Clare was named to US Biathlon's development program. She made her Biathlon World Cup debut in Antholz, Italy in January of 2015 and has competed on the World Cup ever since as a member of the US Biathlon "A" Team. Clare was a member of the 2015 and 2016 World Championships Teams and is on the path to represent Team USA at the 2018 Winter Olympics in PyoengChang, South Korea. L-R: Caitlin Patterson, Susan Dunklee, Elizabeth Guiney, Clare Egan, Hannah Dreissigacker, and Ida Sargent.